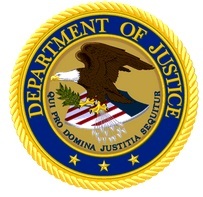 A Turkish man who owns a New Jersey defense contracting business has been charged in a scheme to fraudulently acquire lucrative manufacturing contracts with the U.S. Department of Defense (DoD), and for conspiring to export military technical drawings to Turkey without a license from the State Department, the Justice Department announced last week. Ferdi Murat Gul, a/k/a “Fred Gul,” of Turkey, was indicted by a federal grand jury on Sept. 5, 2018, on one count of conspiracy to commit wire fraud, six counts of wire fraud, one count of conspiracy to violate the Arms Export Control Act, and one substantive count of violating the Act. He is believed to be currently at large in Turkey. Gul is the principal owner, chief executive officer, and general manager of two companies located in the United States: Bright Machinery Manufacturing Group Inc. (BMM), a defense contracting company located in Paterson, New Jersey; and FMG Machinery Group (FMG), a purported manufacturing company in Paterson and Long Island City, New York. Gul also maintains an ownership interest in HFMG Insaat (HFMG), a manufacturing company in Turkey. Over approximately five years, BMM fraudulently obtained hundreds of contracts with the DoD by falsely claiming that the military parts it contracted to produce would be manufactured in the United States. From October 2010 through June 2015, the value of the contracts fraudulently awarded to BMM was approximately $7 million. Gul routinely submitted electronic bids for DoD contracts that contained false representations about BMM’s purported domestic manufacturing operations. He falsely submitted quotes claiming that BMM would provide military goods manufactured in the United States, when in fact the company relied almost exclusively on Gul’s Turkish-based production facilities. In acquiring contracts, Gul routinely and unlawfully exported drawings and technical data, some of which was subject to U.S. export control laws, in order to secretly manufacture military parts in Turkey. Gul and his conspirators then fraudulently supplied those foreign-made parts to unwitting DoD customers in the United States. Gul and his conspirators concealed their illicit manufacturing activities and ongoing fraud by routinely submitting forged certifications and fabricated information by e-mail to DoD representatives in New Jersey. They falsely represented that BMM and its U.S.-based subcontractors performed necessary quality control procedures in their purported domestic manufacture of military parts. BMM fraudulently acquired 346 contracts from the DoD to domestically manufacture military parts, including parts for torpedoes for the U.S. Navy, bomb ejector racks and armament utilized in U.S. Air Force aircraft, and firearms and mine clearance systems used by U.S. military personnel abroad. Testing by the DoD revealed that some parts had numerous design flaws and non-conformities and were unusable. The wire fraud counts each carry a maximum penalty of 20 years in prison and a fine of $250,000. The Arms Export Control Act violations each carry a maximum penalty of 20 years in prison and a $1 million fine. The Arms Export Control Act prohibits the export of defense articles and defense services without first obtaining a license from the U.S. Department of States. The charges and allegations in the indictment are merely accusations, and the defendant is considered innocent unless and until proven guilty. Filed Under: Government Contracting News Tagged With: abuse, Arms Export Control Act, conspiracy, DoD, DOJ, export, fraud, indictment, Justice Dept. China offered a revised bid to enter the World Trade Organization’s Government Procurement Agreement, which guarantees members mutual private-sector access to government procurements worth more than a low threshold. This comes in as China’s fifth bid since 2007. In December, 2013, at the annual session of the U.S.-China Joint Commission on Commerce and Trade, China agreed to submit a revised offer in 2014 that would be in line with those of other GPA members, a December 2013 Office of U.S. Trade Representative fact sheet says. The WTO GPA allows private sector access to government procurements worth more than $202,000 between countries who have joined the agreement. Certain services are barred from WTO GPA coverage, including services in support of the overseas military, dredging, federally funded research centers and ship repairs; the WTO also allows procurements to be excluded from agreement coverage on national security grounds. On Friday (Jan. 13, 2012) President Obama announced he will ask Congress for the power to merge six federal trade and commerce agencies, the Wall Street Journal reported. The WSJ report said Obama will ask Congress for “reorganizational” power. The last president to have this power was Ronald Reagan. The new power would allow the president to propose mergers in order to save money and make the government work more efficiently, according to the report. The plan would allow Obama to propose mergers that would be “guaranteed an up-or-down vote from Congress within 90 days,” the report said. The six agencies Obama wants to consolidate include the Commerce Department‘s core business and trade functions, the Small Business Administration, the Office of the U.S. Trade Representative, the Export-Import Bank, the Overseas Private Investment Corporation and the Trade and Development Agency. The report cited a White House official who said the merger would save taxpayers around $3 billion over the next decade by eliminating duplicate overhead costs. In addition, between 1,000 and 2,000 jobs would be eliminated through attrition, according to the WSJ.